The actuator 24 V is a thermoelectric actuator for opening and closing valves on waterborne heating and cooling systems. Features, as protection in case of leaky valves, compact and modern casing, versions in normally closed and normally open, valve adapter concept and an enhanced life time makes the actuator competitive and flexible. 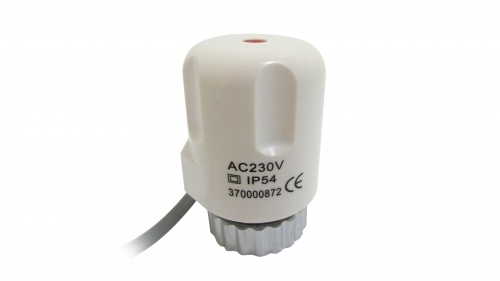 The actuator 24 V is controlled by a 24 V room thermostat with two-point output or pulse-width modulation. 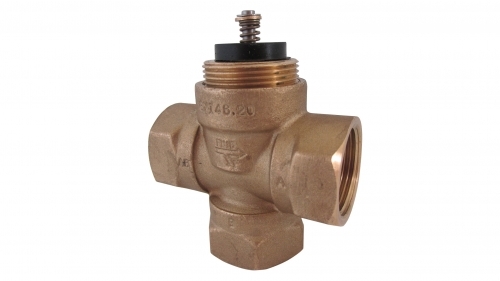 The actuator serves for optimum control of valves on heating and cooling circuits. Control is done from a room thermostat with two-point output or pulse-width modulation. The actuator mechanism of the actuator uses a PTC resistor-heated elastic element and a compression spring. The wax element is heated by applying the operating voltage and moves the integrated piston. The force generated by the movement is transferred on to the piston lifter and thus opens and closes the valve. Normally Closed (valve closed) The valve is opened steadily by the piston motion upon switching on the operating voltage and after expiry of the dead time. The wax element cools down after the operating voltage is cut and after expiry of the hold time, the valve is closed evenly by the closing force of the compression spring. The closing force of the compression spring is matched to the closing force of commercially available valves and keeps the valve normally closed. A valve-adapter concept guarantees a perfect match of the actuator to almost any valve bottom or heating circuit distributor available on the market. 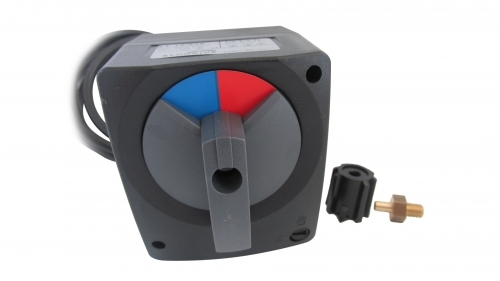 Simply snap-on the actuator to the pre-installed valve adapter. The function indicator of the actuator (all-round indicator) allows identifying the operating condition (valve open or closed) at a glance. Max. 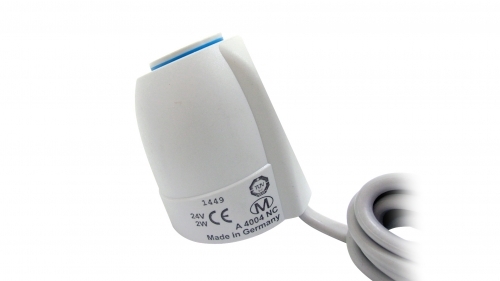 inrush current 250 mA during 2 min max. Closing and opening times approx. 3 min.